The Chinese manufacturer, Xiaomi, launched its flagship phone under the name Mi5 this year in the month of February. Mi5 featured with 5.15 inches IPS LCD touchscreen. Mi5 has borrowed many aspects from its sibling Mi 4 but has improved in terms of latest OS, more battery life and lighter in weight. “Affordable Flagship” as the company calls it, serves as the best smartphone present in the smartphone market right now as it provides amazing features at a reasonable price. The phone has been designed in a peculiar way and has been kept different from its sibling. The plastic back panel and aluminium frame have been discarded, as the back side of Mi5 phone has rounded edges and corners, made entirely unibody using a polycarbonate material. In the Mi4i there were no buttons that could be pressed, but on this phone, there is a single button right in the middle on the downside of the phone. The power and volume buttons are provided to the right of the phone while the dual SIM card is to the left side of the phone. The MicroUSB port is at the bottom while the earphone jack is provided at the top of the phone. On the rear side of the front display, three soft capacitive buttons could be found. The screen is protected by Corning Gorilla Glass 4 which makes it scratch resistant. Overall the new design of the phone is amazing and catches the users’ eye in a go. It comes with IPS capacitive touch screen with 16M colours with screen resolution of 1080x1920 pixels and multi-touch feature. The phone is moderately handy with its dimensions as 144.6x69.2x7.3 mm, and so it becomes hard to access all parts of the screen while using one hand only. The size of the phone is slightly more than the Mi4i.The phone is lightweight, as it weighs only 129gm (4.90 Oz), hence could be used for long duration of time. The phone is available in five colour variants, namely Black, White, Gold, and Ceramic. The best part of the display is its performance under the sunlight, which was made possible using the unique Sunlight Display that adjusts the contrast of pixels, present in the display in real time, thus providing great readability even in bright sunlight. The Xiaomi Mi5 is power packed with Android OS v6.0 (Marshmallow) with a unique Qualcomm MSM8996 Snapdragon 820 Chipset. It works on Dual-Core 1.8 GHz Kryo, dual core 1.36 GHz Kryo (standard edition), dual core 2.15 GHz Kryo and dual core 1.6 GHz Kryo (another edition) with Adreno 530. The phone comes with 128 GB internal storage and 4GB RAM in Pro version and 32/64 GB internal storage and 3GB RAM in other edition, while there is no Card Slot. There are no issues related to the performance of the device as there is any lag or delayed touch response Heavy games and videos are played smoothly, and there is no problem of overheating, the phone does heat a little when used to play processor intensive applications, but that’s common with other smartphones too. Overall the performance of the processor is commendable, and one can’t complain about that at this price point. 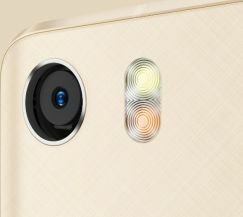 The 16MP main camera featured with industry leading focusing technology, the Laser Autofocus Dual LED (Dual Tone) flash. The main features included are the Geo-tagging, touch focus, smile detection, HDR, panorama. The picture quality of the camera from the main camera is simply beautiful which even distribution of all the colors, the brightness, and contrast of the photo picture has been so perfectly set into the camera that each and every picture taken seems original. Talking about the secondary camera with 4 MP, it features nice photos and gives HDR photo option in the secondary camera too. This phone takes amazing photographs and videos, and the images it captures is crisp and full of details. The amazing feature of the MIUI interface is the upgraded HDR mode comes in two variants now, while the first one is normal HDR the second variant is the Live HDR mode that predicts how an image would finally appear. The Xiaomi Mi5 is provided with Non-removable 3000 mAh Li-Ion battery that delivers consistent performance for long periods of time. Under normal usage the battery will work for a complete day without asking for a charge, and if the phone discharges the new Quick Charge feature used in the phone recharges the battery up to 40% within an hour. There are several battery saving profiles. The Xiaomi Mi5 features WLAN with Wi-Fi 802.11, dual band and Wi-Fi Direct, DLNA and Wi-Fi hotspot. It features Bluetooth v4.2, has a nice GPS system with A-GPS, GLONASS, BDS.The most specific feature is that it is NFC compatible and holds an infrared port with no stereo FM radio and RDS.It has a USB Type C 1.0 reversible connector. The Xiaomi Mi5 is the best smartphone present in the market right now for the users searching for a value-for-money type smartphone. The phone offers amazing features like Quick Charge and dual SIM functionality, making it the best smartphone in the market. If you are thinking of buying a decent smartphone with amazing specs, then you should most certainly buy this smartphone. The photos taken by the phone are nothing less than that snapped by a DSLR and hence it has a created an immense buzz in the market right now. 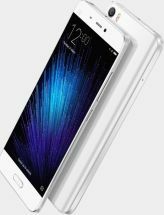 Does the display of the Xiaomi Mi5 will have some kind of protection or do I have to use a screen guard? The display provided is protected by a simple strengthened glass However, as the display doesn’t feature a Corning Gorilla Glass 4 protection. It’s better if you use a tempered glass for protection. Has the phone been kept NFC enabled? Yes the phone has been kept technologically updated and kept NFC enabled too. How many SIM card shall the phone support? The Xiaomi Mi 5 supports dual SIM and comes with GSM, HSPA and LTE. Does the Xiaomi Mi 5 feature with the latest Android OS? No, the phone will run on the Android version 6.0 i.e. Marshmallow, which again is not bad. Does the phone will have a fingerprint scanner? If yes, then will it be touch based? Yes, the phone comes with a fingerprint scanner and has been kept as front mounted and is easy to handle. What is the display size of Xiaomi Mi5? 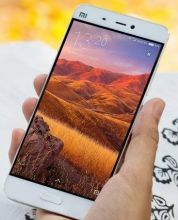 The Xiaomi Mi 5 features a large 5.15 inch IPS LCD capacitive display that provides a full HD resolution of 1080 x 1920 pixels and has approximately 428-ppi pixel density. Does the camera provided in the phone feature Face/Smile detection? Yes the phone camera has face and smile detection which makes it easier for clicking decent snaps. What are the camera specifications of Xiaomi Mi 5? The Xiaomi Mi 5 supports a 16MP rear camera with f/2.0 lens aperture along with dual-LED flash, autofocus and digital image specialization. The phone features a 5MP front camera. 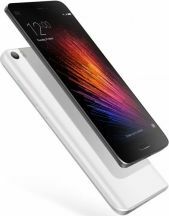 What are the different models of the Xiaomi mi 5 available? The phone comes in 3 different models featuring: 128 GB internal memory having 4GB RAM, 64GB internal Memory with 3GB RAM and 32 GB internal memory with 3GB RAM. Does the phone features with a microSD card slot? No the phone doesn’t have a MicroSD card slot as the phone comes with different Internal Memory ranges. What are the different sensors embedded in the phone? The Sensors other than the fingerprint sensor are the, Accelerometer, Gyro, Proximity, Compass, and Barometer Sensors in the phone. Is the battery provided in the Xiaomi Mi 5 removable? No, the phone doesn’t feature with a removable battery. The main reason being the phone’s unibody design. Is the 3.5 mm audio jack available? Yes, the Xiaomi Mi 5 comes with a 3.5 mm headphone jack and comes with active noise cancellation with dedicated mic in the phone. What are the sound alert types available in the Xiaomi Mi 5? The Xiaomi Mi 5 comes with the Vibration, Mp3 WAV ringtones in the phone. In how many color variants, the phone is expected to be launched? The phone is expected to come in four color variants i.e. White, Gold, Black and Ceramic.